There was glory for Sydney in Sydney as the brewery named after the city won big at the 2015 Sydney Royal Beer & Cider Show. Sydney Brewery – now based in the Hunter Valley – won major trophies in both the beer and wine competitions, including Champion Draught Beer for its Lovedale Lager (a former AIBA trophy winner) and Champion Cider for Sydney Cider, awarded the only gold in the cider category, plus a gold for its Pyrmont Rye IPA, which began life as a collaboration with the team at Pyrmont’s Quarryman’s Hotel. The awards were part of the Royal Agricultural Society of New South Wales' huge series of competitions aimed at finding, as they term it, “benchmarks in agricultural excellence”. Centred largely around the grand pageant that is the Royal Easter Show, they involve competitions in everything from chocolate and cheese to wine and wood chopping. Under that umbrella, the Sydney Royal Beer & Cider Show has, since 2007, forged a reputation as a tough competition with judges seemingly reluctant to part with their stash of gold medals: 2012 saw six shared between just three breweries; there was a solitary one in 2013; while last year was comparatively generous in returning seven. That makes the 2015 competition, judged this week, something of a high point for the show as 14 golds were awarded, ten of them going to New South Wales brewers. To be awarded a gold medal, the beer or cider must gain a score of 90 or more on a 100 point scale specific to the style category in which it is entered. It must, in other words, be technically and generally awesome. Other NSW brewers celebrating the results included Murray’s, who grabbed six medals of various colour, bookended by golds for the Moon Boy Golden Ale and Wild Thing Imperial Stout. Almost a year after cleaning up at the CBIA awards, Modus Operandi showed they haven’t let their standards slip with the all-conquering Former Tenant Red IPA (so named for a busted drug dealer who was the previous tenant at their brewery site) and the Silent Knight porter (named after, of all things, a fridge) both topping their categories. Stockade, brewed under the MacArthur Grange brand out of BrewPack, backed up their two golds from 2014 with two more this year in the Pale Ale and IPA categories. Matilda Bay showed that, despite brewing operations being shifted around the country in recent years, they can still put out a winner as the Redback Original Wheat added more accolades to its already illustrious history with a gold medal and Champion Packaged beer award. At a different and rather smaller scale, the Flat Rock Brew Cafe followed up their first ever beer award at this year’s AIBAs with three more here, most notably the gold awarded to the French Sour that is part of the increasingly eclectic barrel ageing program bubbling away beneath the Naremburn brewpub. Down in the Yarra Valley, Napoleone brewer Ben Waymouth might be getting a bit of “I told you so!” from his bosses as their Pale Ale – the only beer they insisted he make – picked up a gold. 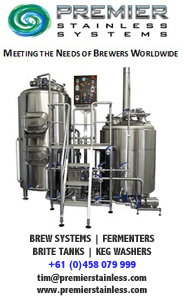 One brewer seemingly unbound by any constraints is Ross Kenrick up at Queensland’s Bacchus Brewing. Never afraid of releasing unusual and/or very strong beers, here the judges rewarded him for getting everything sewn up in the neat little package that is the 3.5 percent ABV Windsor IPA. Also doing well on the low alcohol side of things was many a beer geek’s favourite Berliner Weisse, Watermelon Warhead from Feral. And it wouldn’t be the Sydney Royal without Redoak taking out one category or another. Last year, the Sydney brewer won the best beer of the show for their Chateau Sour, this year they got gold in the reduced alcohol category for their full-flavoured 3.5 percent ABV Bitter. 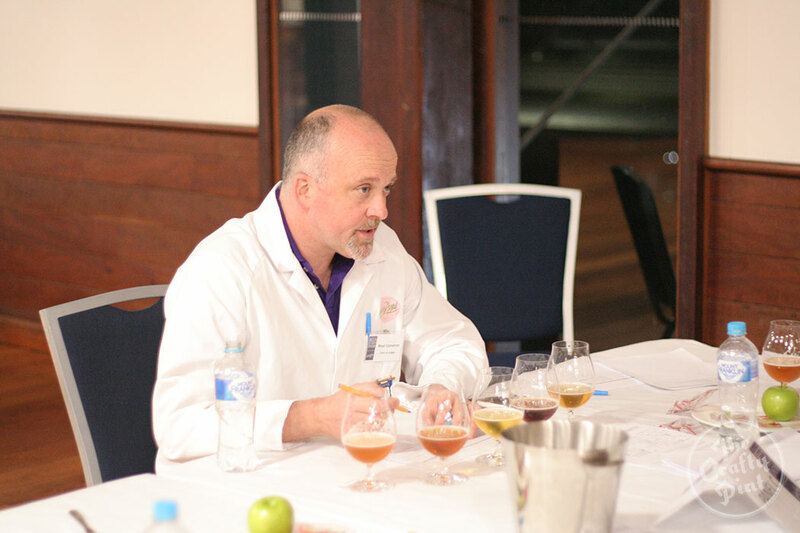 Following the judging, and once it became clear that the winner’s list was a lengthy one, we asked Neal Cameron, the show’s Chair of Judges and head brewer at The Australian Brewery (pictured below), whether the increase in major medals was merely incidental due to a higher number of entries or whether it was perhaps more reflective of increased quality within the local industry. “One thing that was very noticeable in both the cider and beer,” he says, “was the very low number of ‘shockers’ – entries with serious issues. That would indicate that overall the quality of submissions has increased markedly. This year 11 of the golds were awarded to draught beer with the remaining three being packaged in bottles. We asked Neal whether there was any significance in draught accounting for such a large percentage, to which he replied: “None at all...” before elaborating further. With more entries than ever, apparently of a higher calibre, we asked Neal where the Sydney Royal Beer & Cider Show fits within the major beer competitions held in Australia. “I think Sydney Royal has really found its sweet spot in the judging calendar,” he says. “Entries are up 400 percent over the last four years which is truly gratifying for the whole team who work dreadfully hard on making this a success. “For me, the quality of judges we can attract from all around the country indicates the regard for the competition. 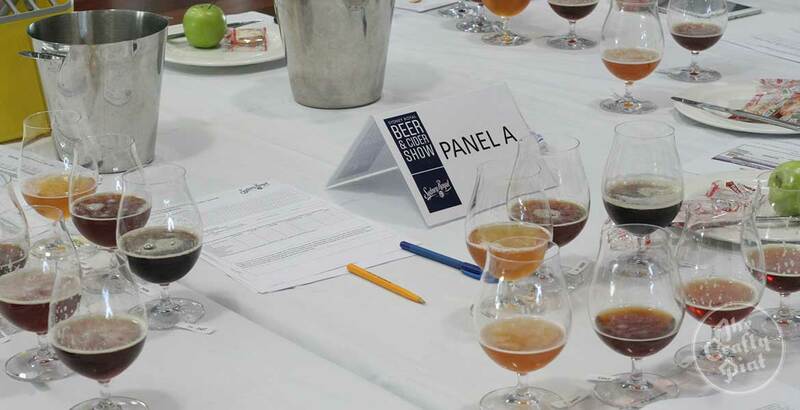 Judges like Tina Panoutsos (Sensory Manager at CUB), Bill Taylor (retired Chief Brewer for Lion Nathan), Ian Kingham (Director at the Institute of Beer) and Karina Dambergs (Cider Maker) as panel chairs are the best in the country at what they do. 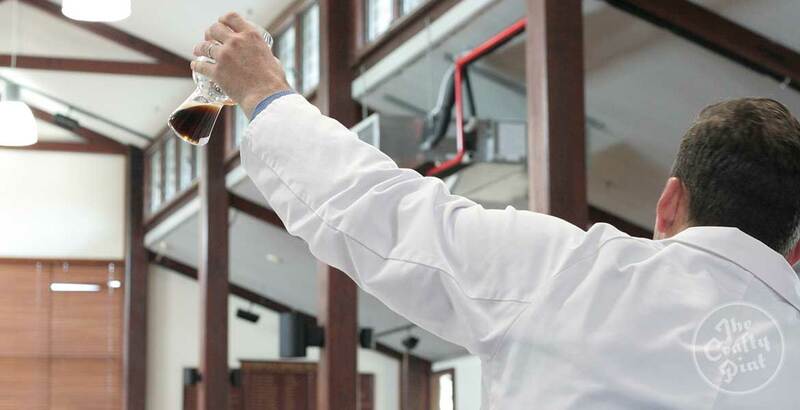 Their ability to recognise the quality in a vast array of styles of beer is indicated by the breadth of styles in the championship taste-offs. It was a long day with all the taste-offs, but the energy in the room was exceptional. To browse the full results and previous winners, visit the Sydney Royal website.